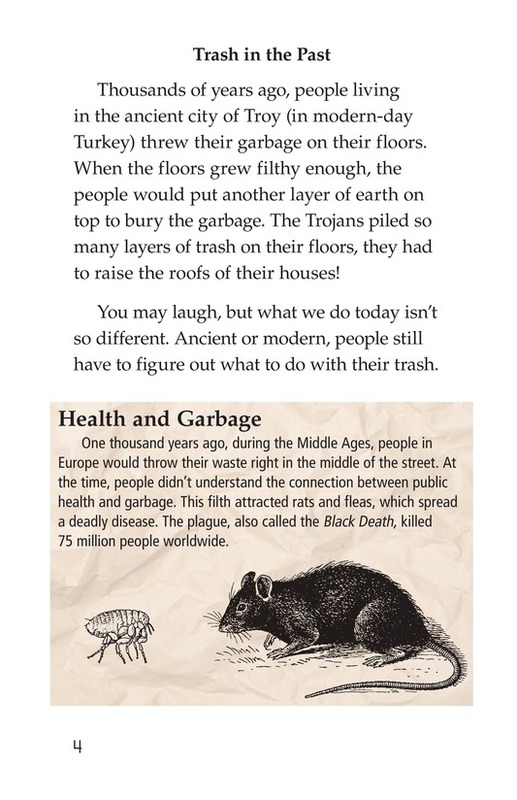 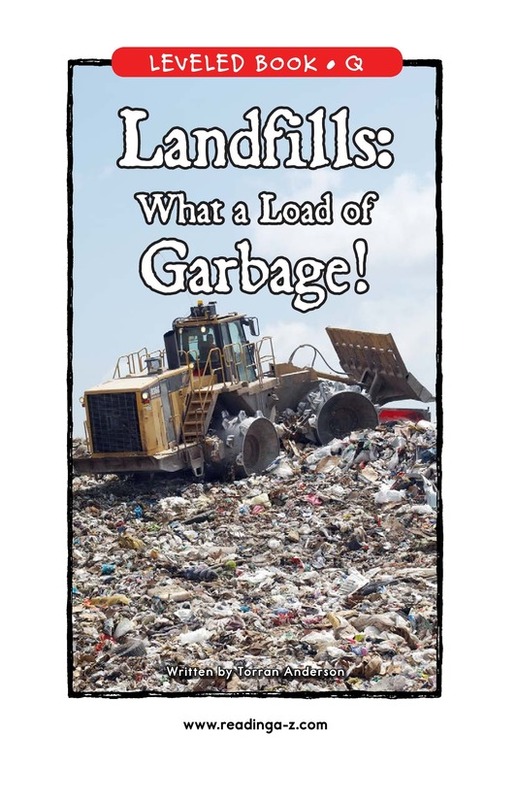 > Books > Leveled Books > Level Q > Landfills: What a Load of Garbage! 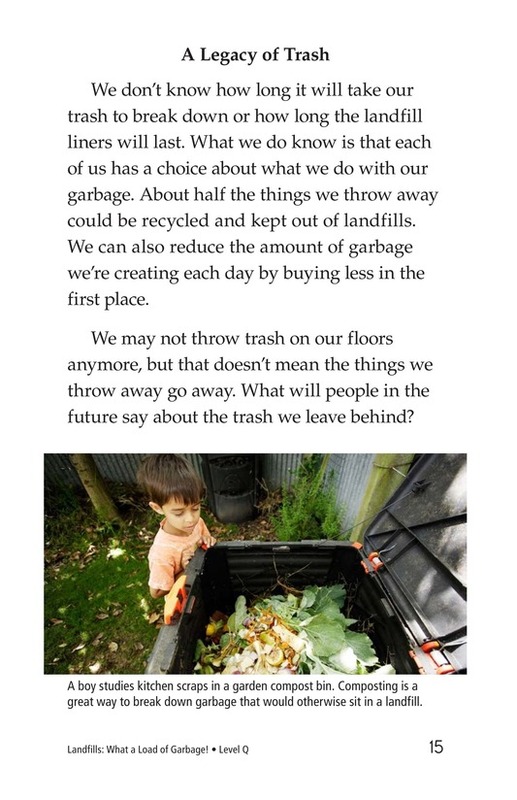 When you throw trash away, where does it go? 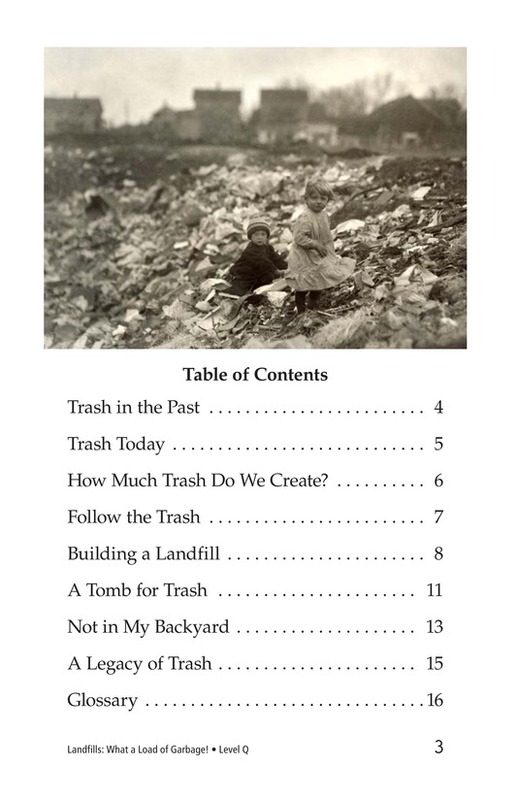 Where is “away”? 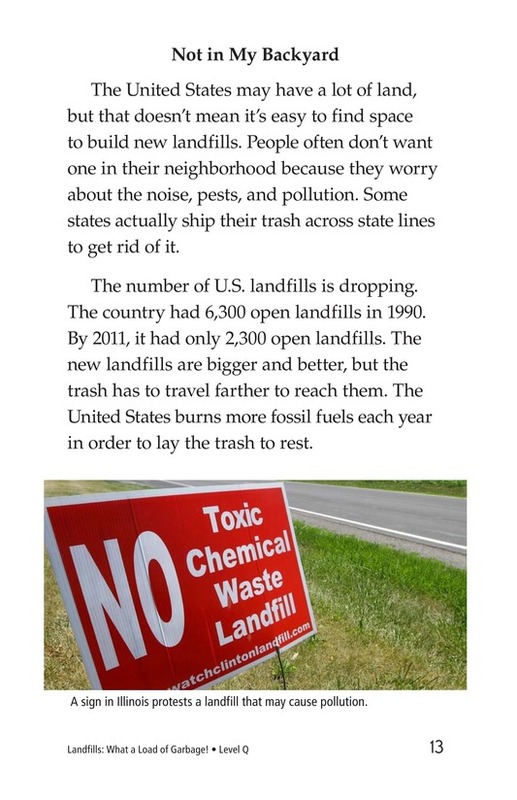 Most trash goes to landfills. 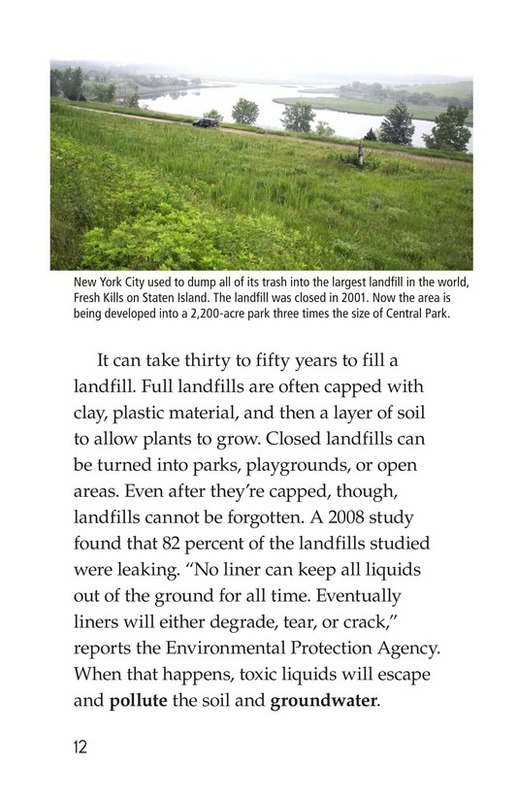 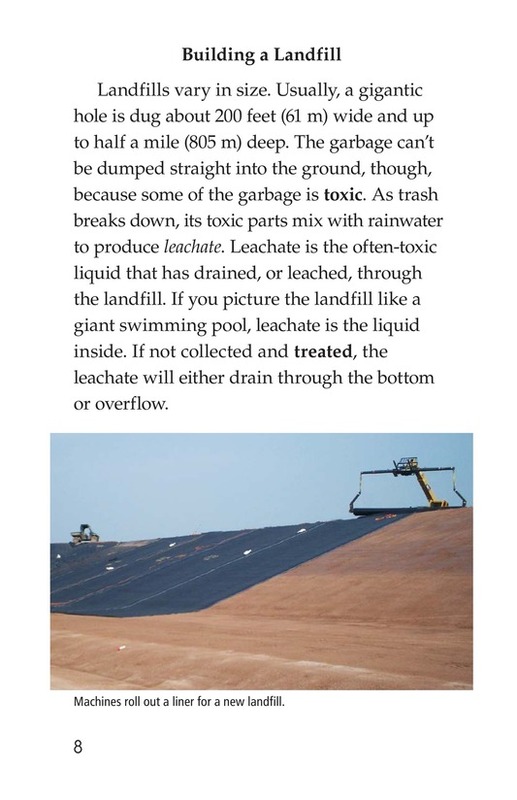 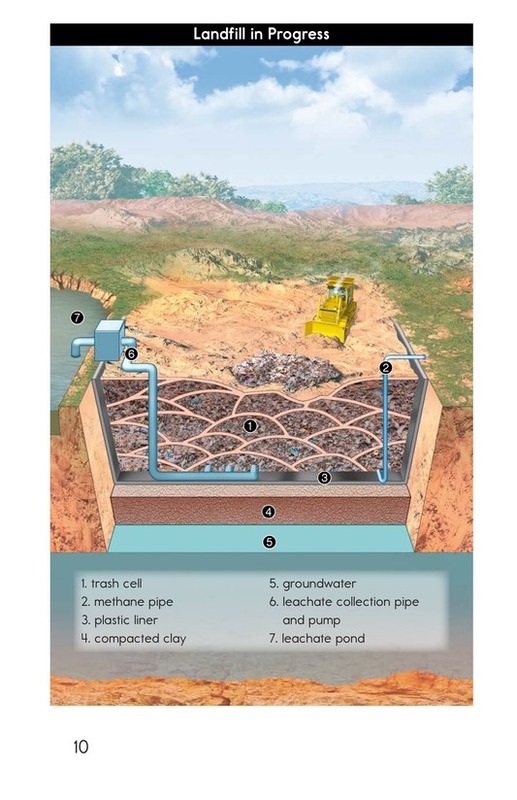 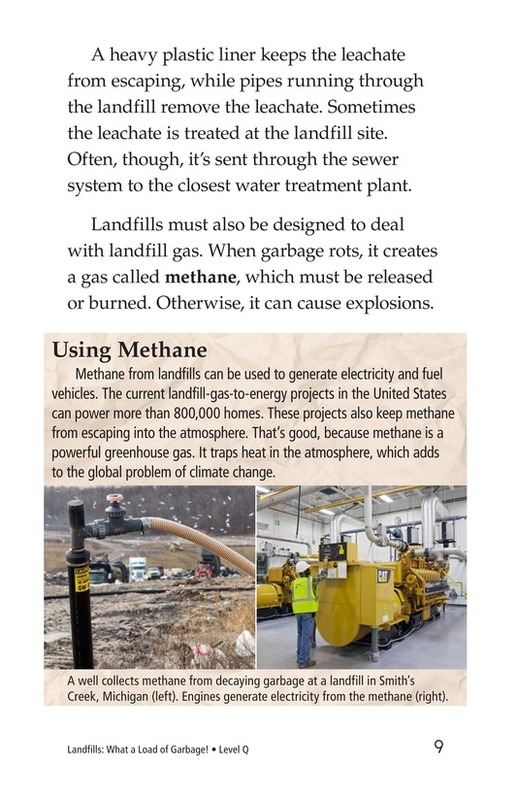 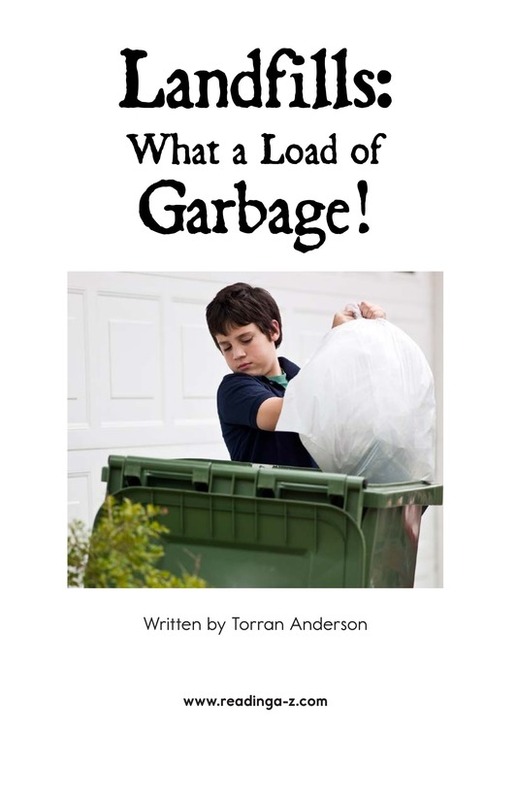 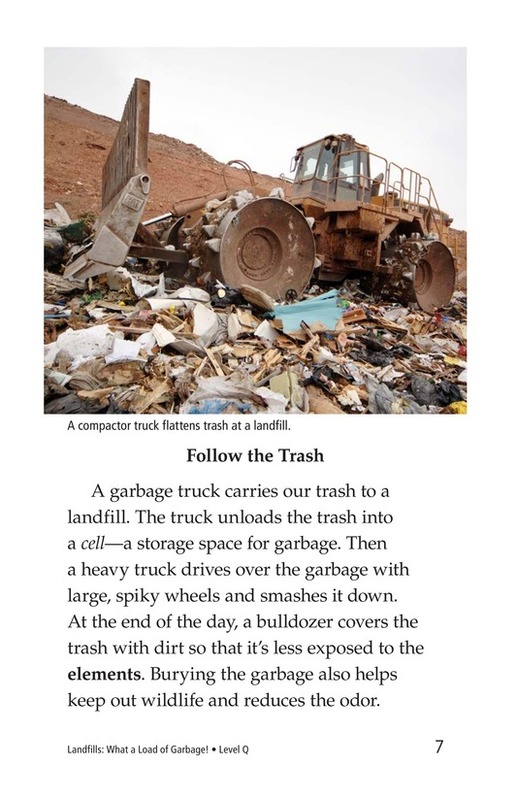 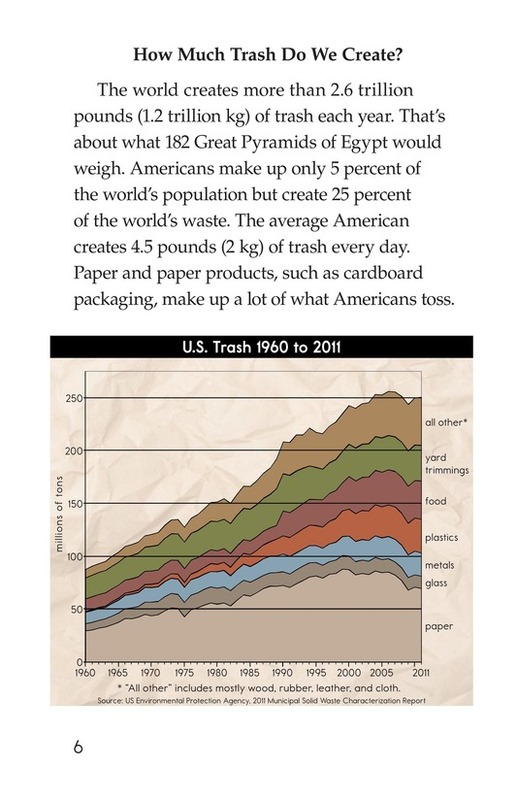 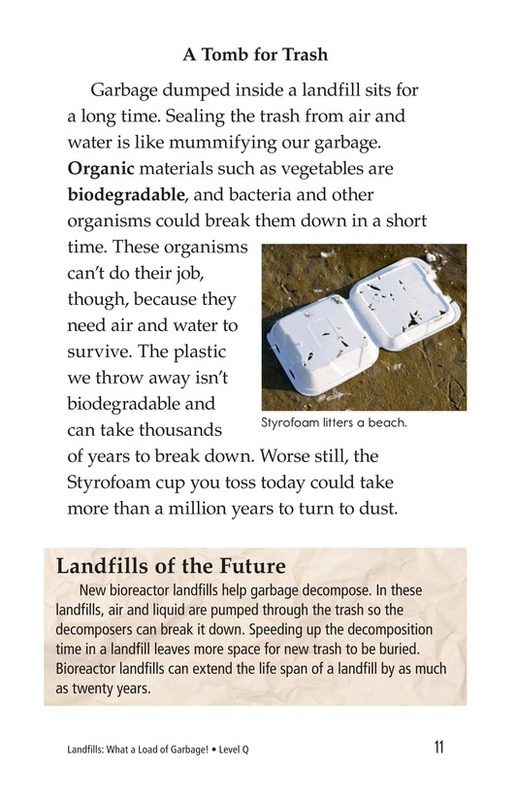 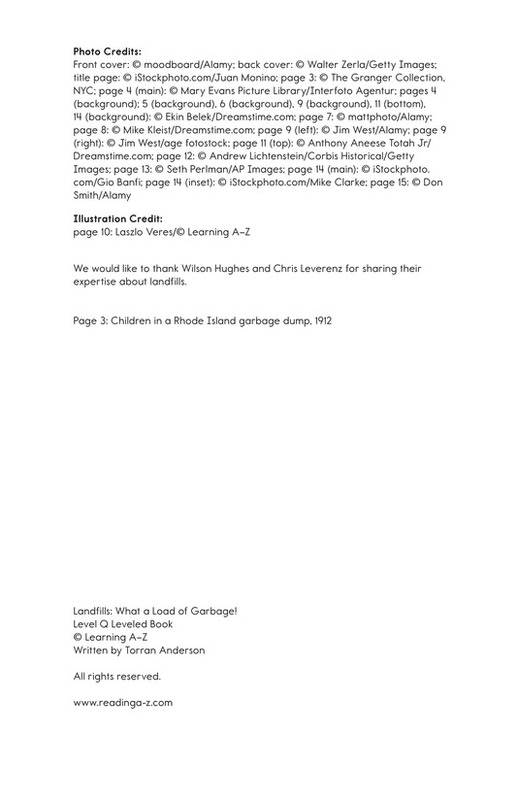 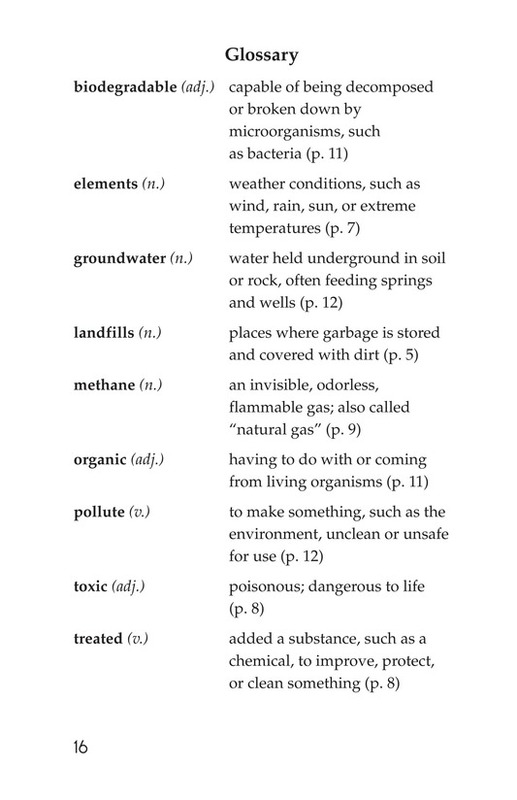 This book explains what landfills are and how they operate. 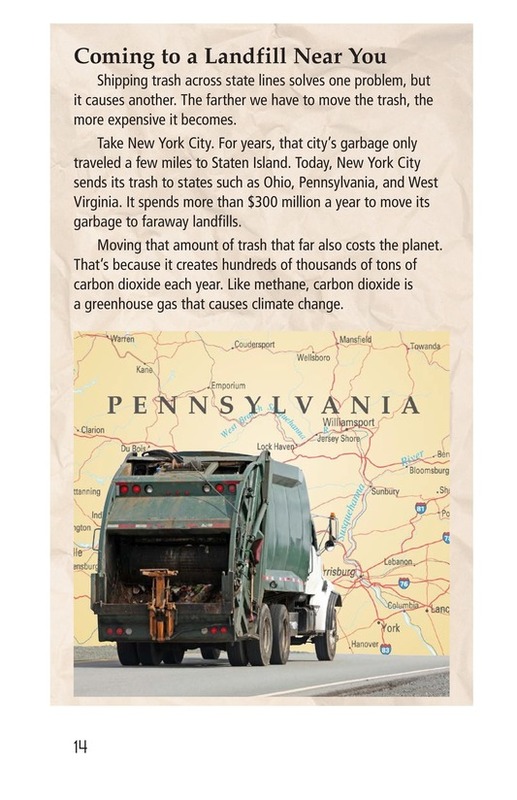 Students will also learn why trash is a threat to the environment and why getting rid of it is becoming expensive. 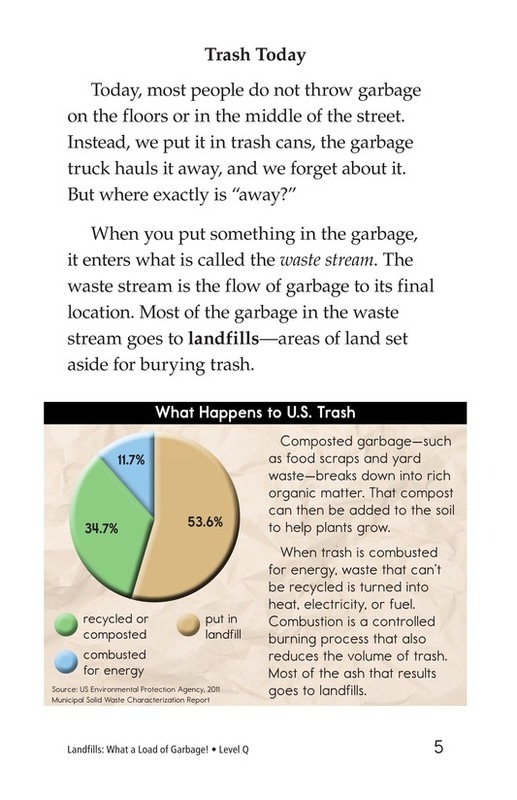 Diagrams and photographs support this informative text.